This discussion interrogates the ruins of Beichuan, a county town in North Sichuan that was destroyed and rendered uninhabitable by the 2008 Wenchuan earthquake. Those ruins exist today in two principal forms. The remains of the original townsite have been evacuated and opened to the public as an open‐air memorial; and earthquake museums have preserved artifacts recovered from the townsite and organized them alongside supporting texts, images, exhibits, dioramas, and amusement attractions. The ghost town, it is argued, ruptures the reform‐era sense of national progress and development, forcing its observers and participants to acknowledge loss and absence. Connecting to a wider discourse, the National Earthquake Memorial Museum (NEMM) attempts to piece that sensibility back together by creating a particular memory of the massive state‐led relief effort, by “disciplining” the catastrophe through inquiry and education, and by sublimating the earthquake through science, planning, and building. Although they remain emotionally separate, the ruins and NEMM have a natural tension with one another. Away from the epicenter, the privately managed Wenchuan Earthquake Museum (WEM) combines ruins and narrative to capture the “strange objectivity” that comes from any effort to make sense of what is ultimately insensible. At the turn of the twenty‐first century, contemporary art from China has displayed a recurrent engagement with urban ruins. Painting, performance, film, and photography have turned the rubble of demolition and construction works, an outcome of the vast urban development programs of the past few decades, into a powerful symbol of China’s contemporary milieu. Critical and academic approaches to contemporary Chinese art have rightly inquired about the meaning of these ruins, in a process that has also reevaluated the place of these images in the representational traditions of China. Starting with these academic perspectives, this paper situates images of ruination in contemporary Chinese art in dialogue with transnational debates on the meaning and epistemology of the ruin, to argue for an essential element of constructedness in the representations of ruins. Photographic series by Wang Qingsong, Jiang Pengyi, and Yang Yongliang are analyzed as examples of an active appropriation of the process of ruin creation from a critical stance. Recycling urban wasteful rubble into an aesthetic object, these photo artists generate alternative visions of urban development and its consequent demolition and contribute to the negotiation of the meaning of the ruin. The controversy over the partial demolishment of the Nangang Bottle Cap Factory for redevelopment is a prime example of the ongoing public debate about urban renewal in Taipei. The controversy crystalizes the tension between a growing public desire for historical preservation in Taipei to safeguard shared history and restore collective memory, and profit‐driven capitalistic development. The transformation of the factory over the past decade—from disused public property to a city‐operated Urban Regeneration Station for fostering art and innovation, and finally to a demolition site that is being readied for new construction—illustrates the tug of war between the exigencies of cultural/historical preservation and urban renewal in Taipei. During the process, not only did citizen activists play a major role in raising the public’s awareness of the unique value of the Nangang Bottle Cap Factory as one of the last major relics of Taipei’s industrial heritage, graffiti artists also created works in the abandoned factory that dialogued about its contested future under a neoliberal capitalist regime. By tracing the origins of the controversy, I argue, through a photo documentation of the accumulated graffiti inside the factory before demolition began, that the factory “ruin” has functioned as a theater for diverse forms of guerrilla urbanism, including engaged art, urban exploration, and community organization. This paper sets out to examine the “exhausted narrative” in aesthetic and poetic experience, revealing the affect and effect of Tsai Ming‐Liang’s film‐making. He is notable for his obsession with ruins, defunct construction sites, abandoned buildings, and film itself as a modern ruin. These sites are a reminder of the alienated subjects within its historical context, a fragmented narrative, and an uncertain or failed future to come, just like the ruin―a chapter of a halted story. Tsai’s films are not only full of ruinous images and bodies, but even the fragmented narratives are ruinous, turning in elliptical circles, aiming toward their morbid ending until their total exhaustion. This cinematic ouroboros ophis will be discussed in two aspects: first, as an aesthetic practice, and second, as the parallelism between the onand off‐screen reality of the mode of production and reception in the cinematic experience. 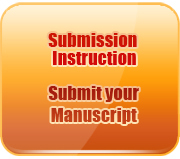 The term “exhausted narratives” refers to the processes of writing meta‐fiction, as that of “re‐orchestrating” and “re‐editing” the past with respect to the present, and to inscribing Tsai’s own narrative universe. This article focuses on representations of Emperor Qin Shihuang’s necropolis, an example of the tomb as a special form of landscape in Chinese literature and visual culture. Unlike remnants of other historic structures, the tomb is built to be an enclosed space and is contained in its own system of time. If a tomb is broken into, its system of time/space is fractured, and it becomes a ruin from the point of view of both its own historical function and its larger contemporary context. Both Chinese and American popular culture have a demonstrated fascination with breaking into Emperor Qin Shihuang’s tomb. This article provides an analysis of three groups of texts from China and the United States, including Lilian Lee’s novella The Terracotta Warrior and its screen adaptations, the 2005 film The Myth, directed by Stanley Tong, and its TV adaptation, and American texts including the 2001 NBC TV movie The Lost Empire, directed by Peter MacDonald, and the 2008 film The Mummy: Tomb of the Dragon Emperor, directed by Rob Cohen. After demonstrating how the special chronotope of Qin Shihuang’s tomb directly affects the major thematic developments of these texts, this article then examines and compares how the different groups of texts confront the topics of death and immortality, excavation vs. preservation, and good vs. evil in ways that reflect the politics of representation. 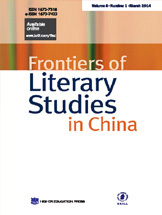 This paper examines the layered nostalgia embodied by one specific spatiotemporal site, the war‐torn Republican capital of Nanjing, in Bai Xianyong’s 1971 collection of short stories Taipei People and in Ye Zhaoyan’s 1996 novel Nanjing 1937: A Love Story. Both Nanjing’s historical reputation as an ancient capital for several short‐lived dynasties and its special role in narrating Chinese identity and cultural traditions across the 1949 divide contribute to the city’s symbolic significance in the literary tradition of ruin gazing. In the two texts under discussion, the layered ruins of Republican Nanjing—reminiscent of the decadent Six Dynasties (220–589) and witnessing the historical violence and physical as well as metaphorical dislocation resulting from World War II and the Chinese Civil War—constitute an ideal site for reflecting upon not only personal and national traumas but also traditional‐modern tensions from diversified stances and angles. The related but divergent trajectories taken by Bai’s and Ye’s nostalgic gaze—one projected from the United States in the 1960s by way of post‐1949 Taipei and the other geographically located in contemporary Nanjing but culturally distanced from it—form an interesting dialogue, which may shed light on the fluidity of ruin gazing at a nexus of identity questions with reference to the embrace of modernity.